In 2016, 43 per cent of American workers spent some time working remotely, with 31 per cent working 4-5 days per week away from the office1. Companies have accepted that remote work is a money saver that delivers more engaged employees and better productivity. Your business needs the technology to manage remote workers and make their jobs easier. If you want to put comprehensive technology into place for remote workers, look to ion8. We enable your business with tools to manage employees and assign scores to their productivity, core solutions such as G Suite and Microsoft Office 365 to complete day-to-day tasks in the cloud, and much more. Google and Microsoft both have productivity solutions that are cloud-based and can be used anywhere with an Internet connection, on any device. We can install, configure and integrate both solutions with the rest of your business. Both solutions have their advantages, and we’ll help you choose which one works best for your business. The primary roadblock in allowing for more remote work in most businesses is a lack of insight into what workers are doing away from the office. If your business is using G Suite, Prodoscore changes this by allowing you to monitor tasks completed and time spent in each G Suite app, including Gmail. You’ll get a daily productivity score emailed to you and alerts when employees dip below a certain threshold, alerting you to problems before they arise. 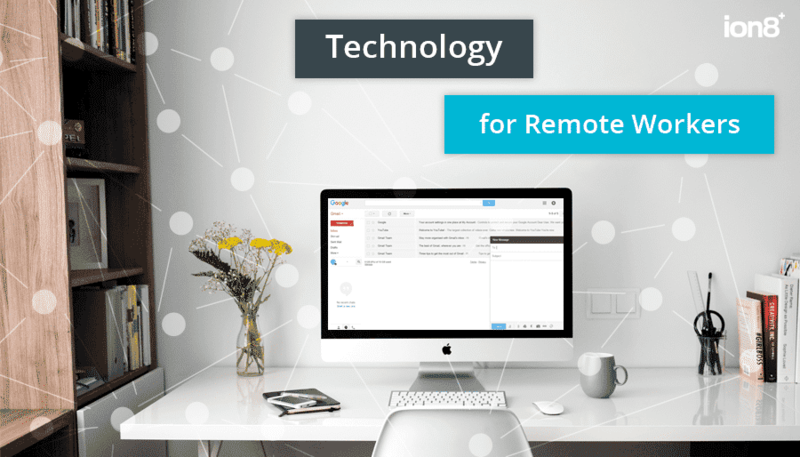 Contact ion8 to get the technology your business needs to succeed with remote work.